Last week I went for a few days in Mallorca -Majorca, I just prefer the Spanish/Catalan spelling!- which was a lovely break. I enjoyed the warmer temperatures -not by much, mind you!-, the lovely food and, of course, the company, my family and friends. Although I do have quite a lot of good friends here in England, I do miss terribly my friends in Spain. They are mostly University friends so we talk endlessly about, well just about everything. The downside is that I haven't been making cards for over a week so I don't have much to share in terms of papercraft. But I don't think I have shared the inside of a card that I posted days ago (bellow). The inside is one of those easy pop up mechanisms that I like so much, this time I used as a pop up element a die cut new Nestability shape, the Beaded circles. 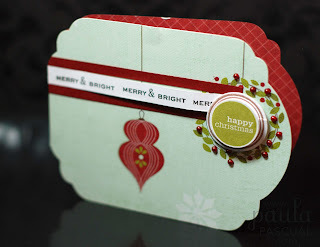 I believe I used the second largest die to cut plain white smooth card and I stamped one of the circle sentiments from my Large Christmas set. 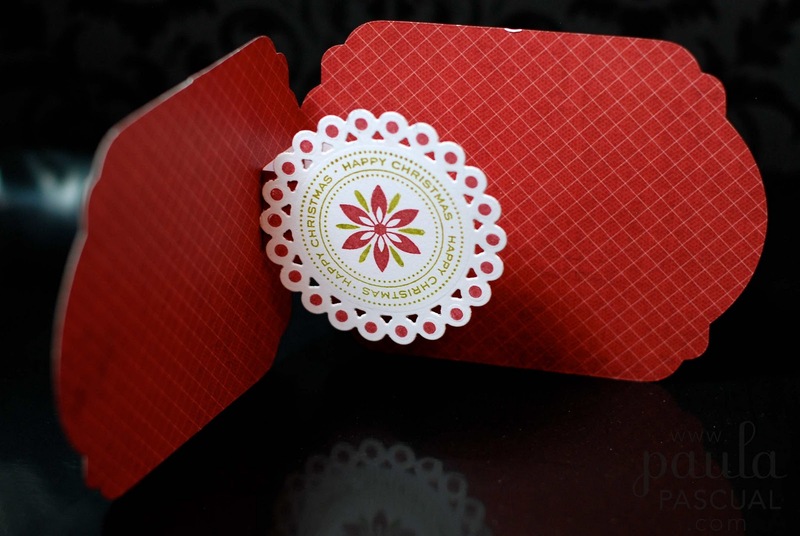 then I stamped one of the two steps flowers from the Filled with flowers set to create an image that resembles a poinsettia. Finally I stamped the dots onto the beaded edges of the circle using the single dot that is on the Filled with Flowers set. Lovely card! I totally agree - I ALWAYS write Mallorca!